strength of the merchant class was growing, and merchants often spent their money on entertainment. Due to this, Nihonbashi was instrumental in the development of a lot of Japan's arts and culture. 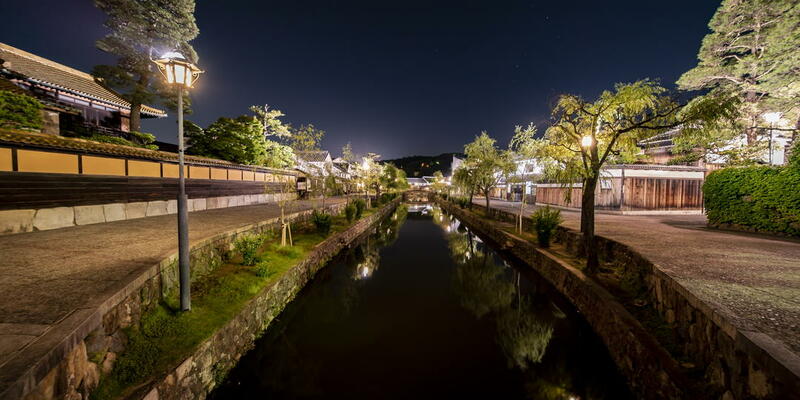 You can still visit stores which were established in the Edo period or before, buying authentic souvenirs and getting a taste of the real Japan. 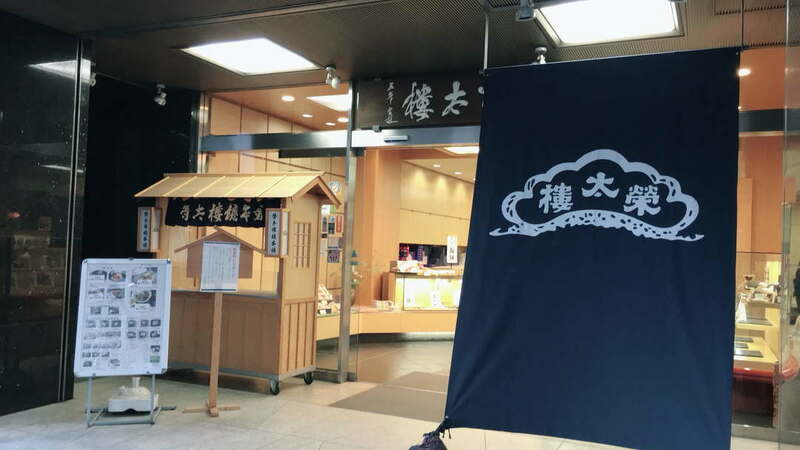 First founded as a stall at the Uogashi Riverside Fish Market in Nihonbashi under the store name Izutsuya. The third-generation owner, Eitaro, became popular with the Edokko (people of Edo) for his hard work, cheery demeanour, and care in looking after his sick father. His sweets, ‘Kintsuba’, became very popular in the Edo period, and were featured in comic haikus and popular period lyrics such as ‘As you would expect / the children of samurai / eat golden sword hilts’, golden sword hilts here being a play on words with ‘kintsuba’. The store was renamed after Eitaro, and has stood in the same place since 1857. 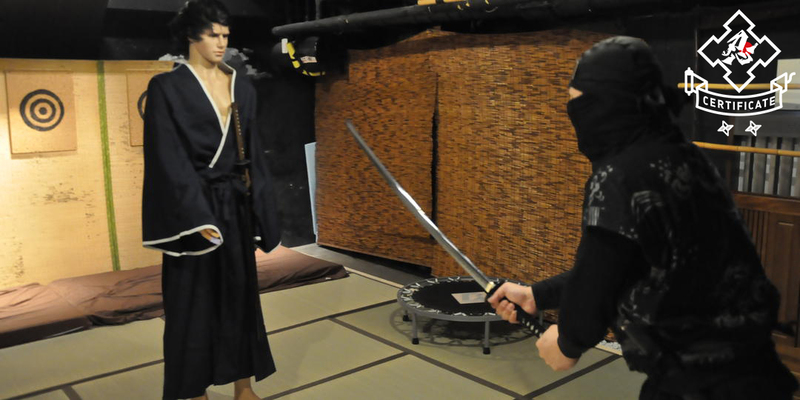 Get a taste of the Edo period with their ‘Kintsuba’! Kintsuba are so called because they look like gold ('kin') sword hilts ('tsuba'). 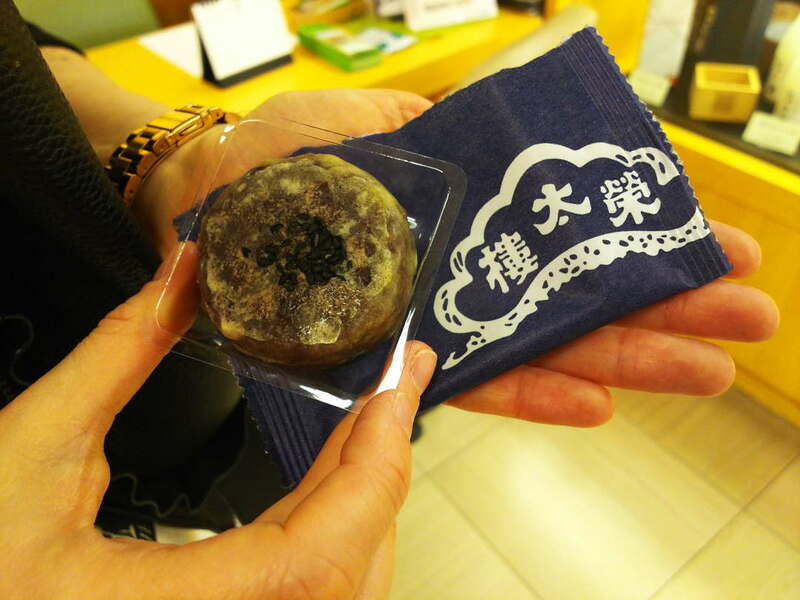 Compared to the refined, regal Kyoto-style Japanese sweets served to the higher classes, these Edo-style Japanese sweets were seen as real and substantial, suiting the down-to-earth merchants and samurai classes that populated Edo. As they are still made in the traditional method, you can try the same flavour that the Edokko, or people of Edo, would have enjoyed. 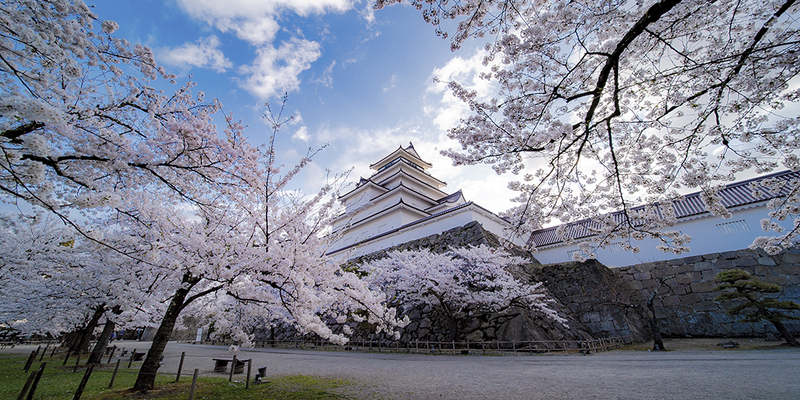 To keep it interesting, they also offer extra seasonal flavours such as sakura. A little bit easier to take home as a souvenir are their umeboshi-ame, so-named for the red triangle made by cutting and shaping the pulled sugar. Founded in 1699, this store sells katsuobushi, or dried and fermented skipjack tuna, which is often called dried bonito in English. In fact, this store was actually the first to sell pre-packaged pre-shaved flakes, creating a revolution in Japanese cooking. 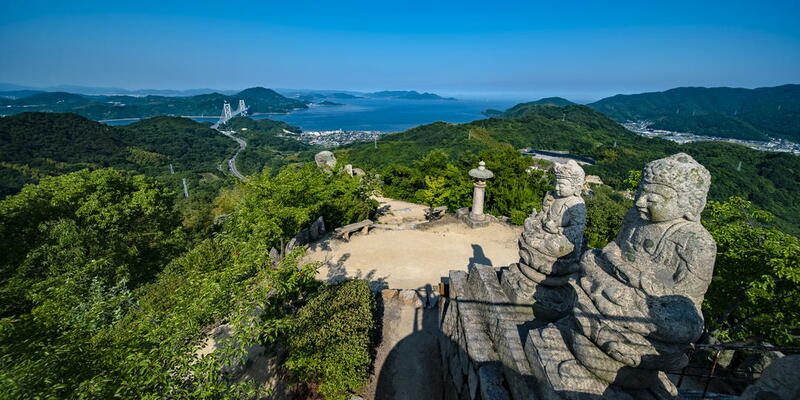 The founder, Ihee Takatsu, opened a couple of stalls next to each other when he was 20 years old - and from there worked his way up to becoming a large, famous wholesaler in the Edo period. The store was first named was Iseya, using the same first kanji as his own name did (伊). He took one radical from this kanji to create the store logo – the nin-ben, or nin radical (the part on the left). Inside the store up high on the wall you will find an o-sakaki. This is to make the business successful and prosperous (considering their history, it seems to be working). About twice a month they leave new sakaki (a type of plant), sake, salt, water and rice on the shelf. To create honkare katsuobushi takes over six months, as the fillets are smoked, fermented (with a strain of bacteria than reduces moisture) and then sundried. As katsuobushi begins to lose its flavor as soon as it is shaved due to reacting with the oxygen in the air, it’s best to eat it fresh. 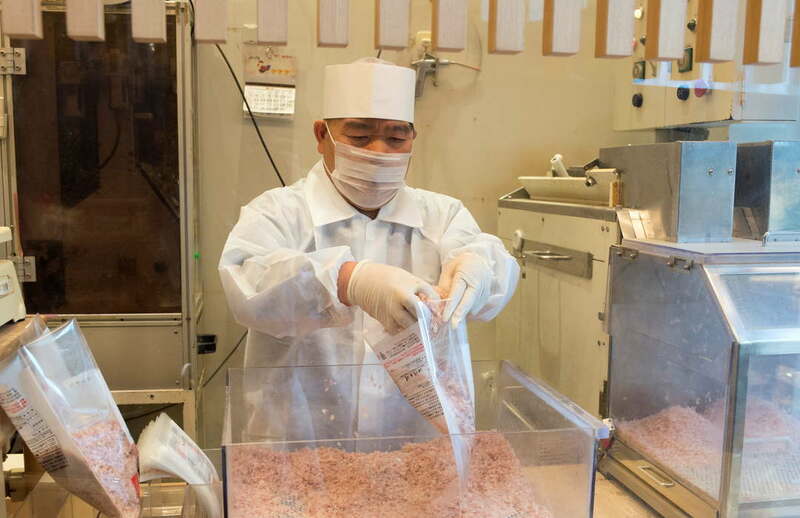 Here in the store they shave it daily, so you can buy fresh katsuobushi to use at home. To make cooking authentic Japanese cuisine easier, they also have many pre-mixed packages. For example, their Kaoru Aji Dashi packs, which are like teabags you can use to make soup stock and come in two flavours – katsuobushi, and katsubushi and kombu. For a present for someone who loves Japanese cuisine, their dashi-flavored okoge, a kind of traditional scorched Japanese rice biscuit eaten with vegetables or moistened with soup, is popular and comes in a pack with two flavors – Edomae (Edo-style) miso and shoyu. 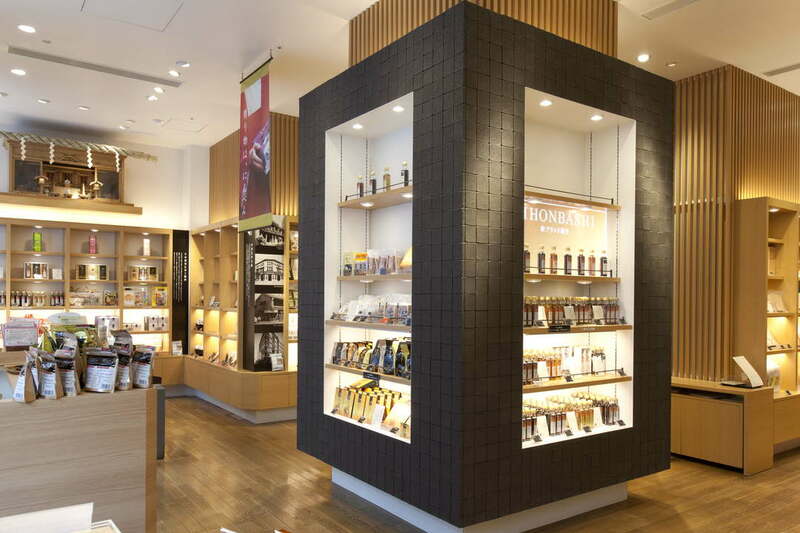 Kuroeya is a lacquerware store that has been in Nihonbashi since 1689. The founder moved to Edo from the village of Kuroe (present-day Kainan, Wakayama Prefecture), which was famous for its lacquerware. 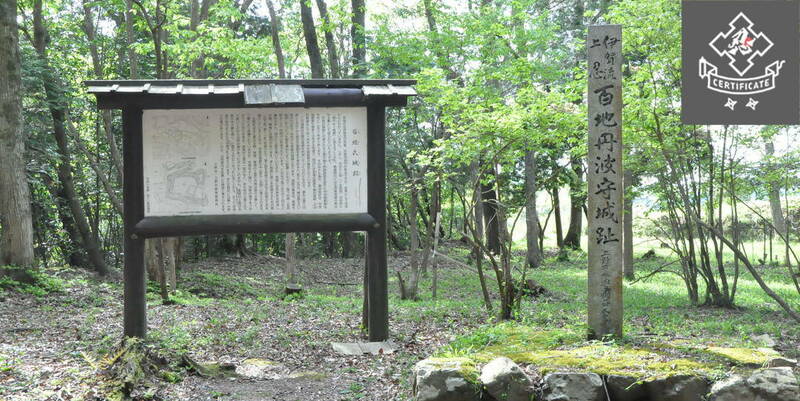 Moving to its current location in 1856, it remained popular through the Edo and Meiji periods, being listed in the 1890 edition of the Tokyo Shopping Guide (Tokyo Kaimono Hitori Annai). The store itself is located on the second floor, and seems rather compact as they offer so many high quality goods packed into such a small space. As you come up the stairs, you will see a glass case directly ahead – in the lower right corner is one of the ornamental posts from the Nihonbashi Bridge. Here at Kuroeya, the majority of their products are made from hand-carved wood – although they do sell some plastic items for those who are determined on buying something microwave-safe. 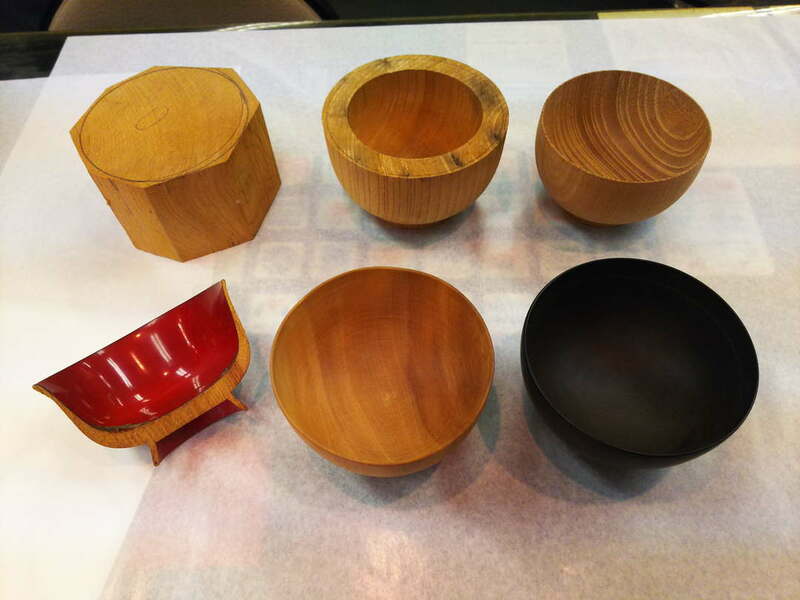 A different artisan completes each step of the process, with someone carving the bowl from wood, someone else painting the lacquer, and so on. 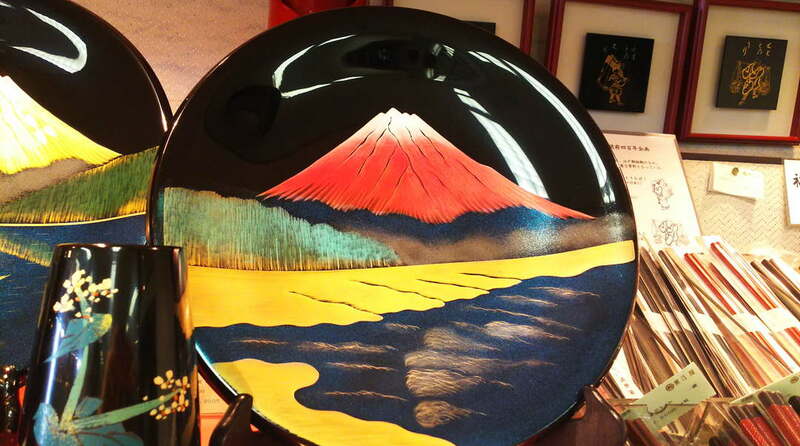 One of their popular designs is Red Fuji, made famous by the print by Hokusai. 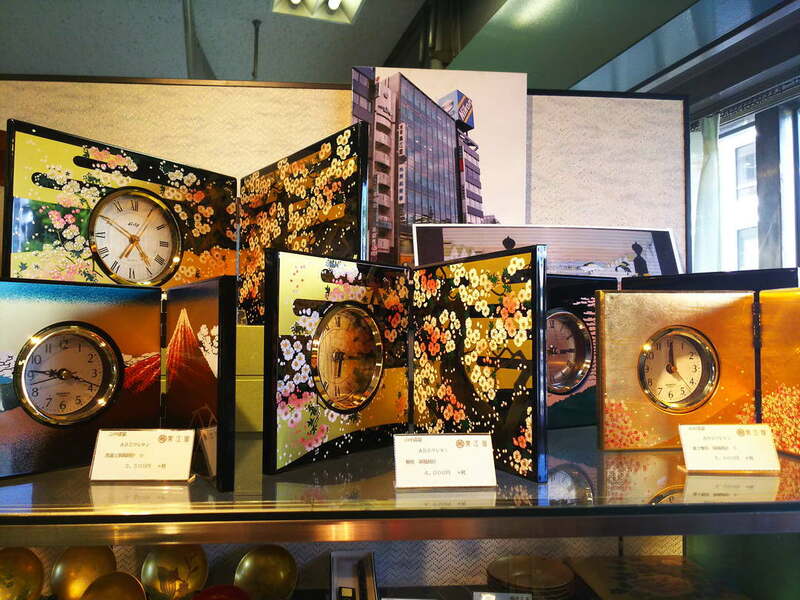 They also have a range of stylish, affordable clocks with prints of Nihonbashi on them in gold leaf. If you’re more into personalized products, almost any items can be custom painted to have your komon (family crest) or name on them. It does take a few weeks, but they ship overseas!